Sunday Evening, I had the pleasure of sharing about some of the new happenings at the children’s home at the Thornhope Community Holiness Church in their new building. I have spoken there about the children’s home several times and am always happy to be invited. They have kindly given financial support several times and it is greatly appreciated. 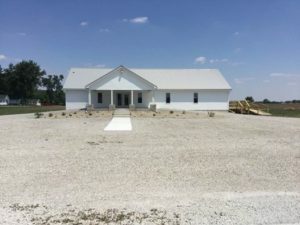 Here is a picture of the new church that they moved into June 25th, 2017.